The words that birthed a thousand DIY cabins in the woods, as inspired by Henry David Thoreau’s retreat on Walden Pond. 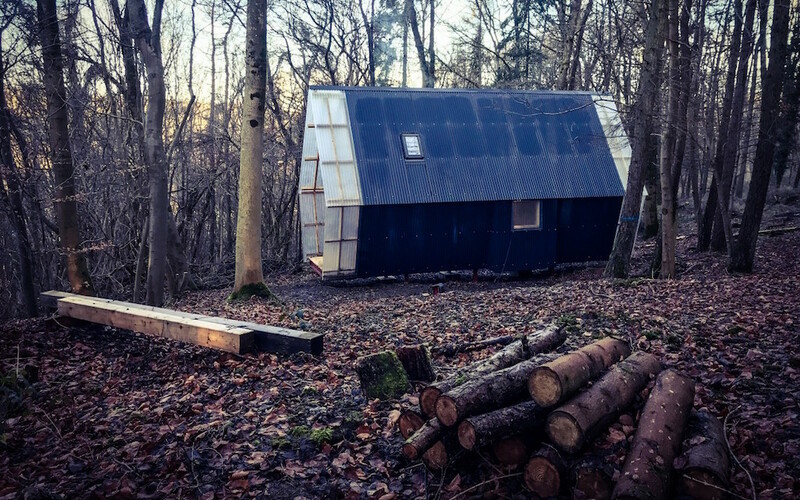 But in the age of climate change and awareness around the waste associated with construction, deliberate cabin-living today requires more than a toolset and some elbow grease. That’s where the Trailer comes in. 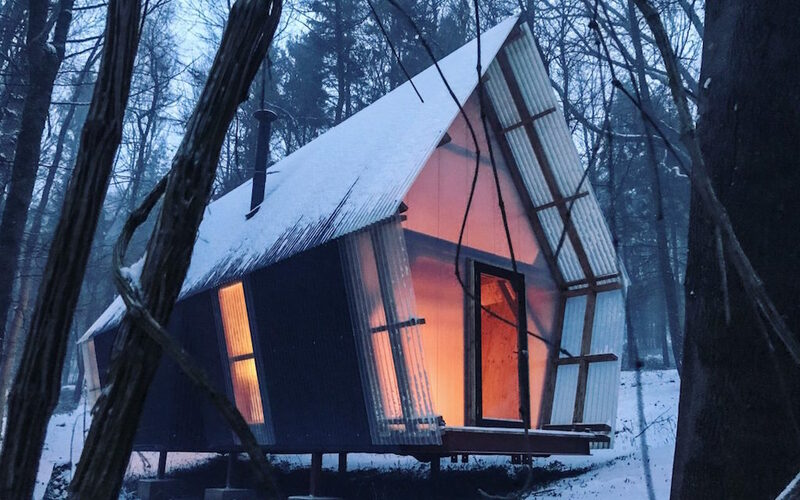 A transportable cabin made of “construction waste and locally grown unseasoned timber,” the prototype was built by UK-based architecture firm Invisible Studio — all for a mere $28K. 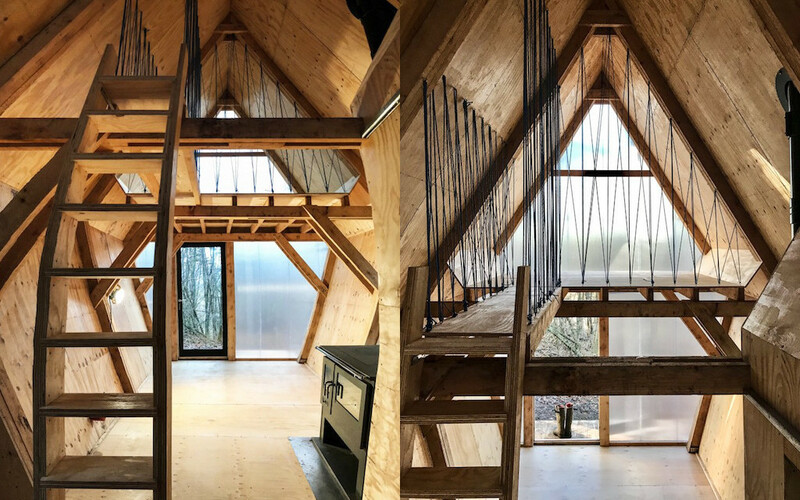 To achieve the affordable price point, the studio sourced a variety of materials that your run-of-the-mill builders ignore: plywood offcuts for joinery, rope offcuts for handrails, scavenged insulation and defective roof lights. As for the timber (which comes from the woods surrounding the studio, which they also manage), it is all “same section,” cut at the same dimensions for streamlined milling. 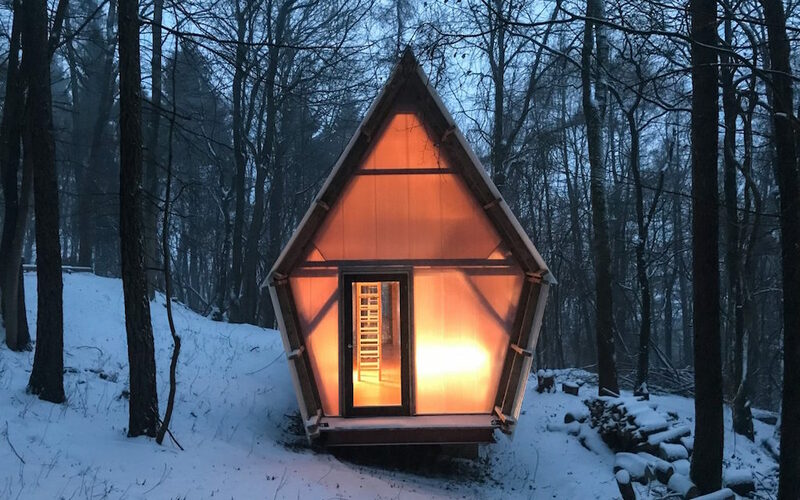 A gabled, pentagonal cabin with a loft that can be transported via trailer on public highways? Sure, we can think of some ways to improvise around that. Alas, there are no plans for production of this design just yet, so stay tuned if you hope to call one your own someday.